This project focuses on the correspondence papers in the Boulton and Watt Archive covering the years 1728-1848. The collection allows the scholar to understand the growth of the steam engine business; how the employees at the Boulton and Watt Soho Manufactory and Foundry worked and how they were dealt with by their employers. James Murdock (Engine erector, brother of William Murdock). John Murdock (Employed by Boulton Watt & Co. at the Soho Foundry, one of the sons of William Murdock and closely involved in the production of gas lighting apparatus). William Murdock (Engineer, inventor and pioneer of gas lighting). James Pearson (Chief cashier and book keeper for the steam engine business). John Rennie (Engineer, millwright and agent for Boulton & Watt). George Rennie and John Rennie Junior (engineers and millwrights; they were John Rennie’s two sons and they carried on the Rennie business from 1821 to 1843). John Walker (Foreman and engineer to George and John Rennie Junior). David Watson and Henry Williams (Engine erectors). 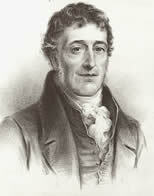 Thomas Wilson (Boulton & Watt’s Cornish agent). John Woodward (Clerk and agent). In Part 13 we also include the folders of General Correspondence for 1775-1785 and for 1785-1795. Both these sequences are organised alphabetically by correspondent. There are letters from engine customers, the carriers who were transporting goods and parts for Boulton & Watt, firms used by Boulton & Watt for sub-contracted work, engine erectors, and people making general enquiries about engines. The letters are accompanied by some memoranda and accounts. Researches will not only gain valuable insight into the Boulton and Watt Company, its agents, engine erectors, engineers and carriers, but also the company’s impact on the Industrial Revolution at home and overseas.